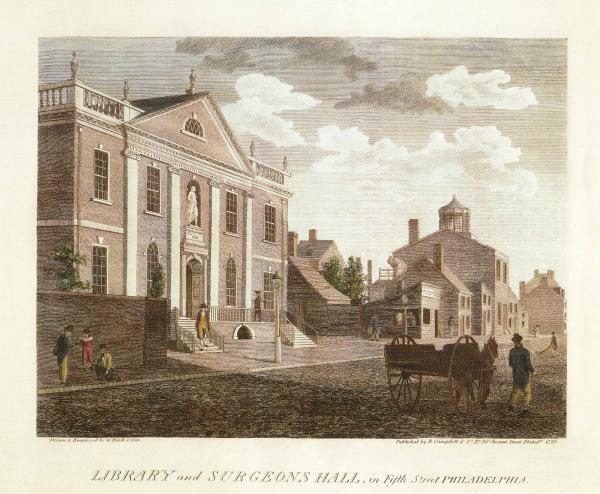 "Library and Surgeon's Hall, in Fifth Street," Engraved by W. Birch & Son, 1800.
Credit: Birch's Views of Philadelphia, 1800. Opened in 1789, Philosophical Hall was home to the American Philosophical Society, the nation's first and most pre-eminent scientific organization. Jefferson was the Society's president when he sent Lewis to Philadelphia to study with some of its members.